LG X Venture Price, Review, Deals, Cost, & Sales! Home / Compare Cell Phones / LG X Venture Price, Review, Deals, Cost, & Sales! The tough, LG X Venture, is a 5.2” screen smartphone with 16 MP main camera and packs a humongous 4100 mAh battery. It comes with a 5.2” 16M colors with 1080 x 1920 pixels. It is protected by a Corning Gorilla Glass 4 and uses the IPS LCD screen technology. 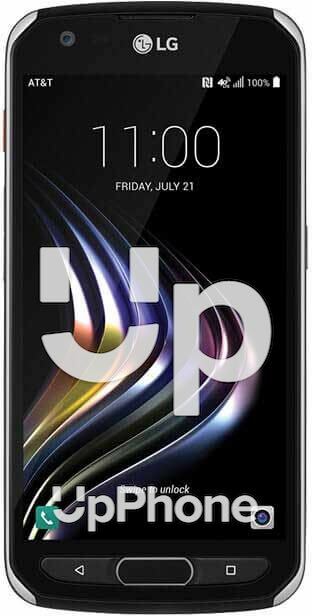 The LG X power, on the other hand, has the 5.3” IPS LCD screen with 16M colors and spits out 720 x 1280 pixels. This device is equipped with a 16 MP main camera with an aperture of f/2.2 and can capture HD videos @ 30 fps. Its secondary camera has a 5 MP with f/2.2 aperture and is capable of recording HD videos as well. While the LG X Power has a 13 MP f/2.2 rear camera that can capture HD videos and a front 5 MP camera capable of recording HD videos as well. It has an internal storage space of 32 GB and supports an expandable memory of up to 256 GB via microSD. While the LG X power has a much smaller 16 GB of internal space and supports an expandable memory of up to 256 via microSD as well. It has a single backfiring speaker that lays flat which will muffle the sounds when laid on its back. The LG X Power also has s single backfiring speaker that lays flat as well. This device has a front-mounted fingerprint sensor which is embedded in the home screen button. The LG X Power, on the other hand, has none. The LG X Venture has the Qualcomm MSM8940 Snapdragon 435. While the LG X Power runs on the following variants of processor (depending on country of origin) Mediatek MT6735, Mediatek MT6755M (LS755) and Qualcomm MSM8909 Snapdragon 210 (US610, K450). The LG X Venture is equipped with a power plant 4100 mAh battery and if that is not enough, it supports fast charging. With that amount of juice, it should last you 24 hours of talk time over 3G network and an impressive 720 hours of standby time. The LG X Power has the same 4100 mAh battery. This model is rated IP68 which means it is dustproof and water-resistant for depths of up to 1.5 meters for 30 minutes. While the LG X Power is neither of those. This model has one of the largest batteries placed on a phone. The LG X Venture comes in two colors, black and chocolate brown. https://docs.google.com/forms/d/e/1FAIpQLScJ6eNMl0QoWwrpJw26TVtHeZms_liLiHcXv7y3AirswVocug/viewform?usp=fIt has fast charging that reaches 50% in 48 mins from 0%. The device is rated IP68. It passed rigorous environmental testing and is MIL-STD 810G certified. This model is available to AT&T subscribers only.